I’ll keep my intro short and sweet. Non-profit PR is a lot like this summer – hot. From Macmillan’s social media quick-win to Grassroots’ #StayAlive app, charities are proving that there’s lots of opportunities to raise awareness. But, when I first read about CLIC Sargent’s campaign, I thought it was having a laugh… and I was right. Working with Havas, (a highly-creative media agency which turns brainstorm ideas into a brand reality. I did some work with them for my old client Unilever Food Solutions) CLIC has created a Joke Appeal micro-site encouraging people to submit their best jokes. People then look around the site, find their favourite gag and ‘buy it’ – donating to the cancer charity. It’s a ‘novel’ concept, not only because it means that everyone can contribute to the charity – financially or not – but it instantly gives CLIC the opportunity to not take itself too seriously. Using well-known comedians to get the ball rolling, the Joke Appeal can literally laugh in the face of cancer – different to Cancer Research‘s ‘aggressive’ approach. It’s early days for the campaign, but it’s already generated over 240 jokes (Note that the charity is promoting how many jokes it’s received, not money – so it’s not necessarily measuring success against fundraising targets). 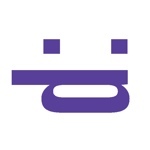 What’s more, CLIC’s made the most of its existing social media channels to make some noise. So, as funny as this appeal may seem, this campaign is very serious about engaging the public online. Have you noticed anything different about your local phone box recently? Of course not. No one gives phone boxes the time of day anymore. So, it’s surprising that Pepsi has used them as part of its latest marketing campaign. Pepsi’s Lipton brand has taken over 5,000 ‘street kiosks’, close to convenience stores, to promote its Peach Iced Tea drink. And I must say, it looks good. But, I don’t think it’s enough to make me, or any other young person, buy a bottle. 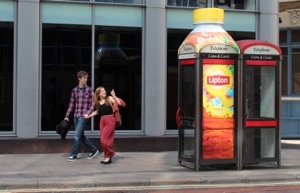 That’s why Lipton’s partnered with KISS FM, to prompt interaction, by encouraging people to answer the phone inside a special ‘booth’ when it rings for a chance to win prizes. 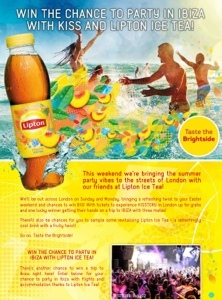 But, is this London-centric competition enough to give Lipton a good return on investment? When growing up my friends and I would ring 118 500 to find out local phone numbers (exciting I know!) In more recent years the only time I’ve used one is after I was mugged and needed to ‘phone home’. I’m not the only one turning my back on local phones. An average of just one call is made each day from the 58,500 phone boxes left in the UK. So, it’s no surprise BT is rapidly losing money from them. Which leaves me to ask the question: id no one’s using them, is anyone noticing them and is it worth taking the risk? The campaign’s saving grace is that Lipton’s supported it with a social media strategy, complementing KISS FM‘s, to widen its reach – with added value digital advertising on the side. But, it doesn’t change the fact that its phone box stunt could be left on hold. more brands will leverage phone boxes’ appeal to create unique advertising opportunities. Time will tell. What do you think – is it a peachy PR campaign or just immobile?